Joining the quickly growing small-brand premium golf ball market, Lightning Golf offers slightly a different twist that may differentiate them from the pack. For those that have paid attention, we’ve seen a seemingly large number of new golf ball companies pop up, most offering lower-cost cast urethane balls. 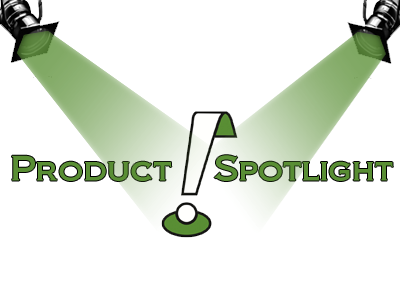 Feedback on these other brands has generally been positive, though major brands have also started offering some similarly priced and designed offerings, making exposure somewhat more difficult. Many of these start-ups have used things like personalized customer service to distinguish themselves, Lightning Golf included. Forged in our hidden, underground bunker in the center of the universe (New Jersey…), Lightning Golf has taken the golf industry by storm. We at Lightning Golf have been creating and working on both of our golf balls, the HL2 Volt, and the HL3 SmackDaddy, for the past two years in order to ensure the highest quality tour level golf balls for our customers. You’ve heard it all before. This ball is the #1 ball on tour. That ball will help you play like the latest major champion. The problem is, you don’t want to be like the rest. You want to be different. You want to start trends, not follow them. Enter the SmackDaddy HL3. Our 3-layer urethane ball has all of the performance features that you would expect from a tour quality golf ball, but is designed specifically with your game in mind. Designed for players with swing speeds of 92 MPH and above, the HL3 offers you the ability to play all of the shots around the course, without the sticker-shock that comes along with those name brand tour balls. Great Distance. Chicks dig the long ball, right? Every golfer loves to bomb it off the tee, and our 318 dimple pattern will help you keep the ball in the air longer. No matter what club you are hitting, expect to see impressive distance from the HL3. Durability. We understand that you want to be able to use your golf balls for more than just a few holes. In case you decide to donk your tee shot off a tree, or bounce it off the cart path, we have designed the cover of the HL3 to hold up all day long. LightMark I.D. System. Rather than drawing all over your golf ball, use our unique LightMark system to identify your ball quickly and easily. Cast Urethane Cover. The HL3 SmackDaddy features a soft cast urethane cover that produces more “grab” on an iron clubface than ever seen before. Mantle Layer. The HL3 SmackDaddy features a multi-blend Ionomer Mantle Layer. This high performance layer promotes a high initial velocity and optimizes launch angle to generate ultra low spin for maximum distance off the tee. 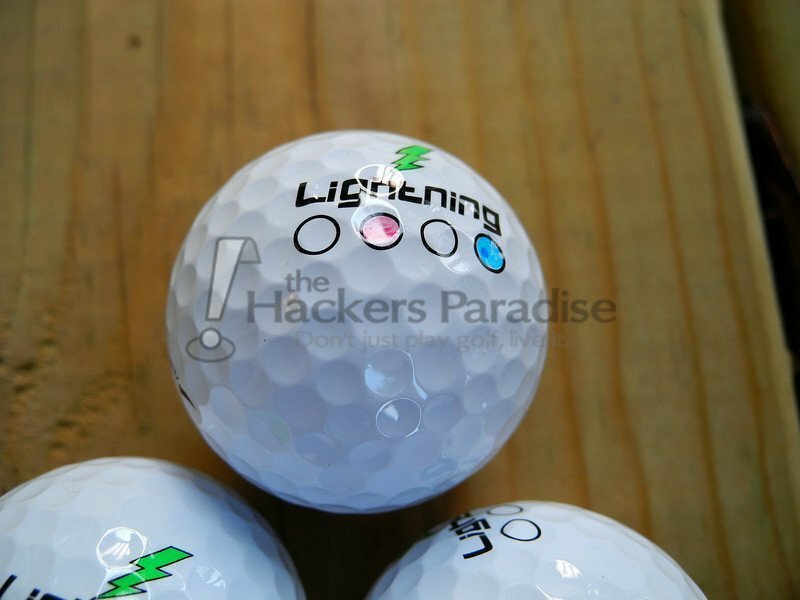 Lightning Golf certainly presents a bold face in their marketing material, naming, and design of their golf balls. Some will enjoy this fresh attitude, though there will be others that may think the unique name sort of takes away from the premium impression of the product. The beauty of having options of course is that we can often buy something that matches our personalities. With the company’s name and a bright green lightning bolt inscribed on each ball, playing the HL3 almost ensures that the user will be bringing something unique to the golf course. However, if one desires to further personalize or mark the HL3, it has a set of four circles that can be customized however the user wishes. On the opposite side of the ball, “HL3 Smack Daddy” is fashioned into a useful alignment aid. As a 3-piece urethane ball, the HL3 is designed for players with average swing speeds that are looking for a low-cost, high-performance golf ball. The $29.99/dozen price tag and cast urethane cover certainly cover those two bases nicely. Greenside spin was easy to come by under the right conditions, just as one would expect from any Tour level ball. While there weren’t any indications of added distance noted during testing, there wasn’t any loss either. In general, the HL3 performed exactly as one would hope from a ball of this type. Though slightly firmer feeling and sounding than initially expected for a ball designed for 92mph swing speeds, it certainly didn’t approach ‘rock’ territory. Golfers that are comfortable with balls like the Pro V1x and Srixon XV should find no meaningful difference in this highly subjective performance category. As noted earlier, these smaller companies do have to find a way to distinguish themselves in the golf ball market, not only from other small-brand competitors, but also from the larger manufacturers. Lightning Golf does this in a couple ways, the first being their bold marketing and design. They also are active in various social media outlets and even offer the chance to ask questions via live chat on their website. In addition to that, they offer a subscription service that delivers fresh golf balls to customers’ doors on a monthly or bi-monthly basis. In all, they are a fresh face offering what appears to be a durable and quality product for a reasonable price. 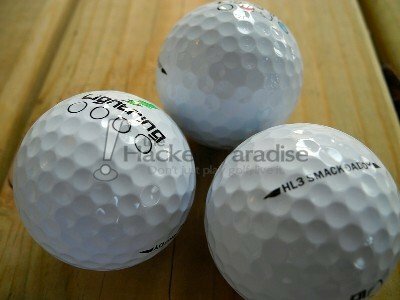 More information on the HL3 can be found on Lightning Golf’s website, www.lightninggolfball.com. Thanks Hawk, I appreciate these smaller manufacturers trying to get a toe hold in the marketplace. There’s always room for a good product at a better price. Just an FYI – I went to the sight and the price depends on subscription or not. Also, I couldn’t find any info on shipping costs. Looks like you find out when you purchase. Solid spotlight here Hawk, I actually like what I’m seeing in the design with the circles and the built in alignment aide. I have my doubts that a company like this could do much to last unless they send out product samples, etc. Too many solid ball offerings under $30 for me to take a flyer on these. Thanks for the information Hawk. With the golf ball market being so tough to break into (more brand loyalty here IMO) i’m curious to see what this ball can do. I prefer more spin around the greens and sounds like this ball can deliver that. Looking forward to more information THP testing with these. 92 MPH swing speed is the minimum swing speed that we would recommend the HL3 SmackDaddy for. It is not designed for players with a 92 MPH swing speed.